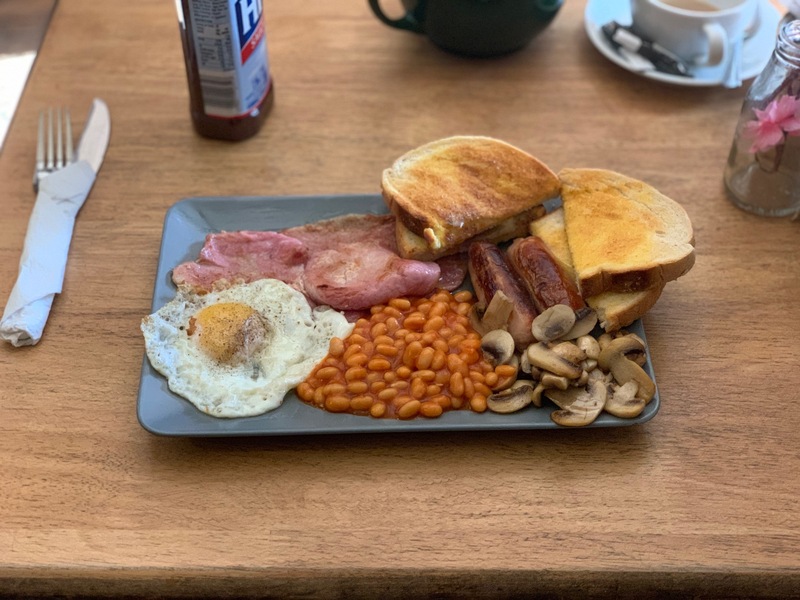 Visit one was so bad, the owner came up to me and said ‘obviously, the next time breakfast is on me’. She then went on to explain that just about everything that could go wrong had, (locked out had to break in), member of staff had a personal emergency, oven not working, behind on time, forgot to put my order through to the kitchen, (that entailed a 4 cup of tea wait! ), beans on plate not in ramekin, (their normal practise). 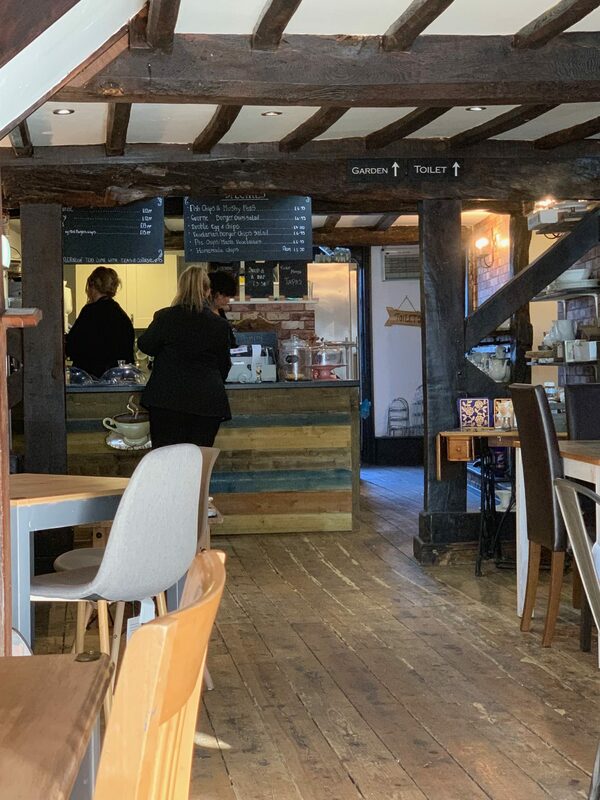 Tudor House Cafe- Tamworth – Full English v1 – looked great, took ages to arrive and was super oilly! The plate was dripping in fat. It was woeful. 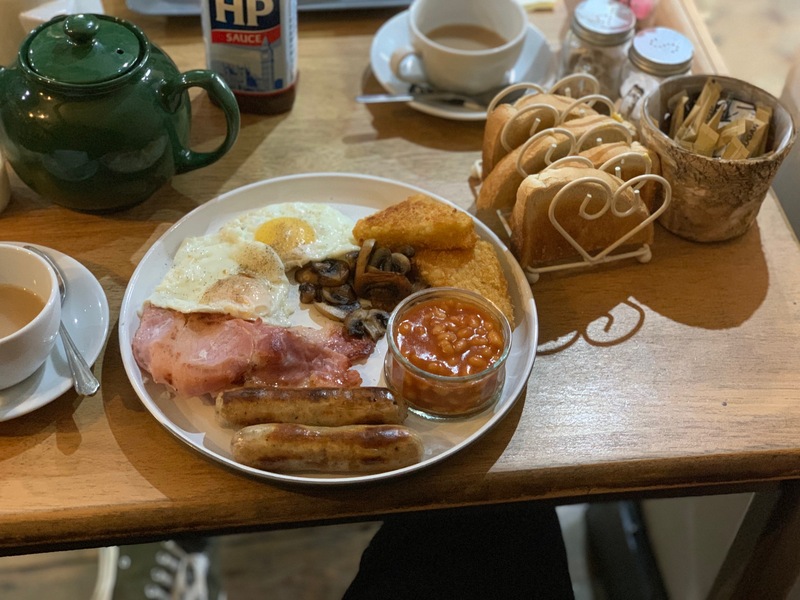 Tudor House Cafe – Tamworth – Oilly – this was the breakfast that I didnt review! I thought that it was so bad that I would give it another go, (the lady that owned it seemed really nice and sincere), I am so glad I did. We ordered our tea and coffee, then we ordered our breakfast. It came in a timely manner. 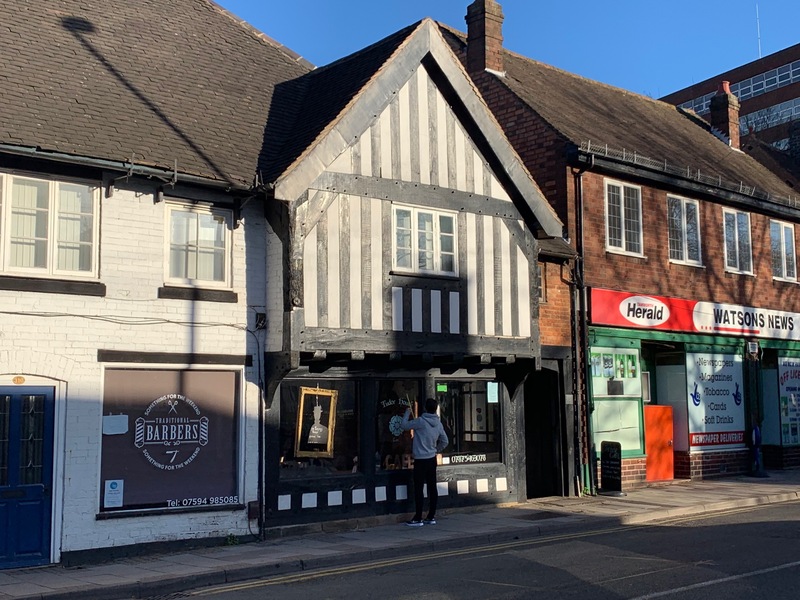 Sat in Tamworth’s oldest shop, (dating back to a long time ago, (more so than all of the other shops)), the toast arrived on its own rack, then the breakfast. 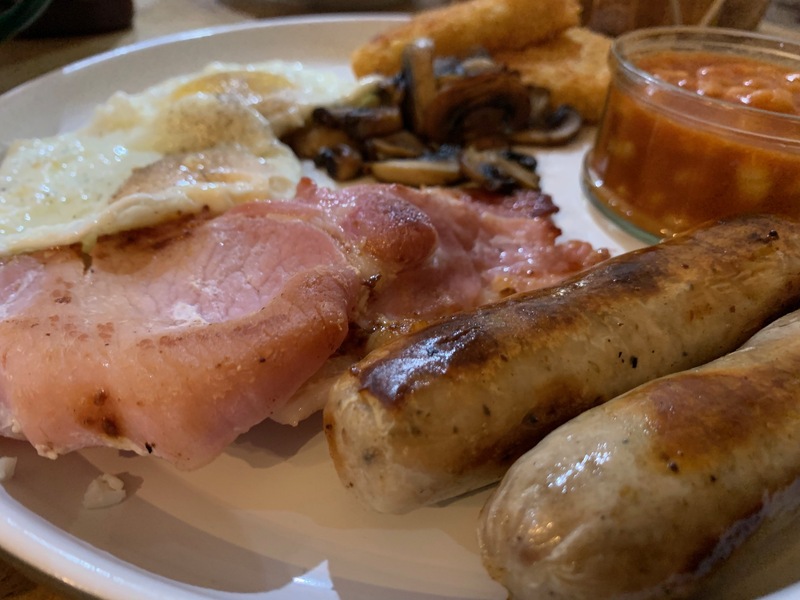 2 perfectly fried eggs, 2 plump tasty sausages, 2 bacon, (nice and thick, how it should be), fried mushrooms, a couple of crispy hash browns, a ramekin of beans to set it off. Happy days. 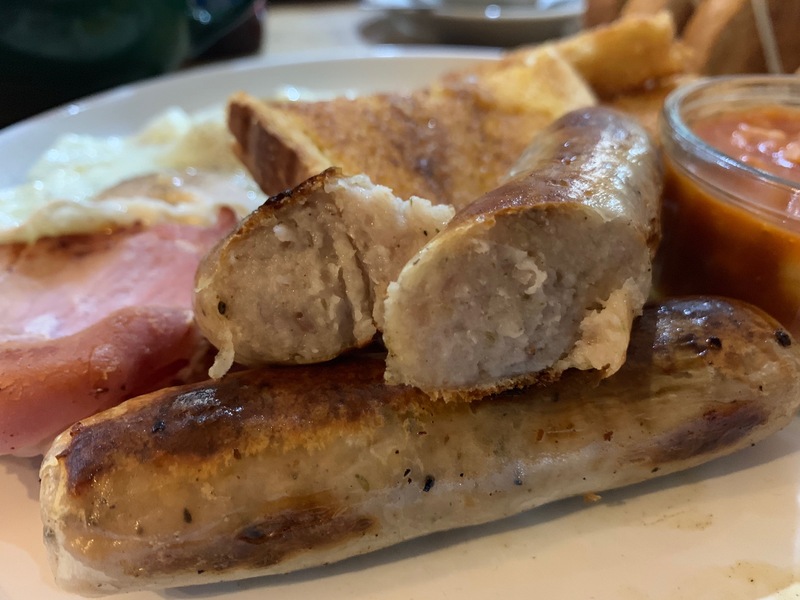 Sausages were good quality, plump and not to fatty, just how I like them. 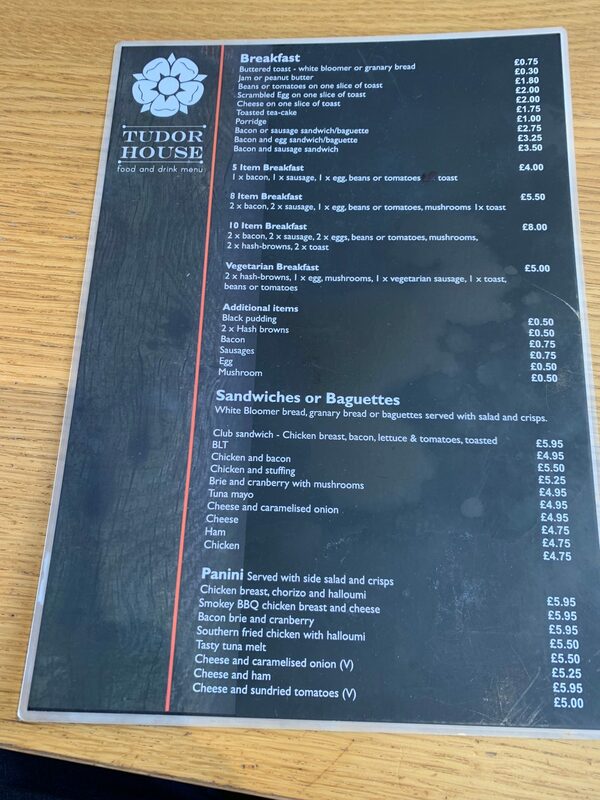 The staff were so nice, (which I think is so important in places that you eat in – its them as much as the food that make you want to return – and I will certainly be returning here. Condiments were good. 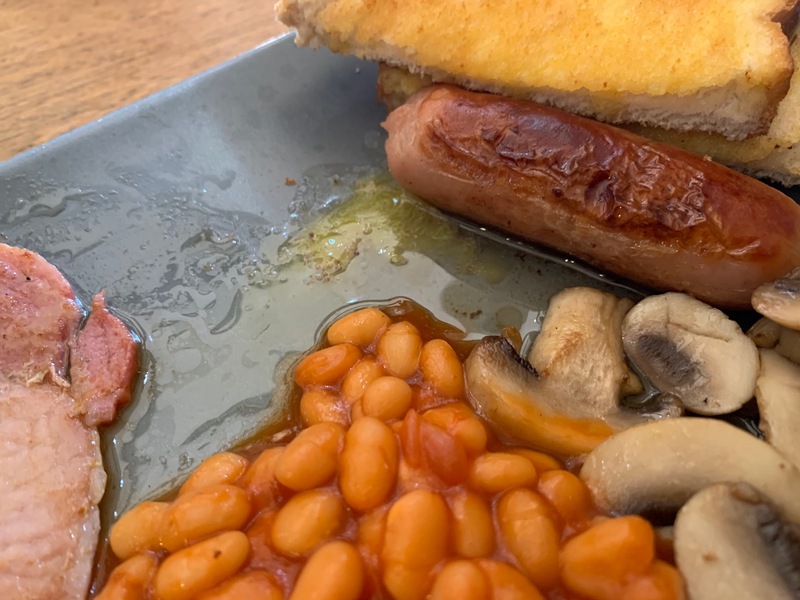 Council pepper, (that really fine stuff), salt and proper HP brown sauce and Heinz Ketchup. Would I recommend this place? Damned right I would. Its a contender, it really is, (based on the second visit of course)!